The current Apple encryption struggle is ongoing. 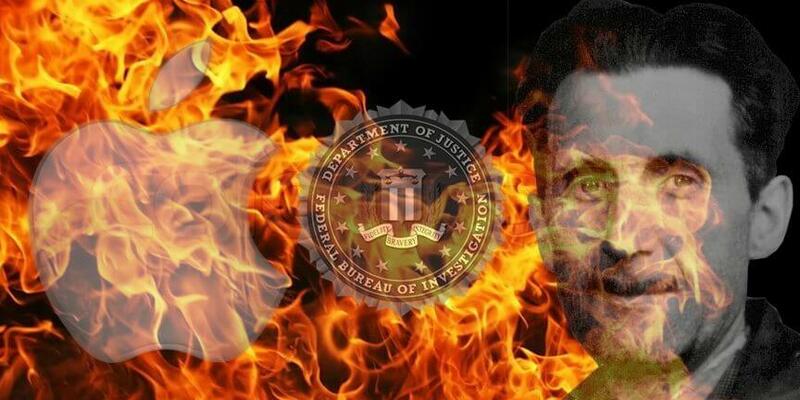 The Apple encryption technology used to protect iPhone user data is under fire by the FBI, who wants to unlock and read iPhone files. Of course, this is a battle over personal privacy and freedom, but at its core, also a war between technology and government policy. This is both a frustrating and worrisome issue, applicable to every individual, every entity, raising concern from every public and private business, organization, and institution. The real Apple encryption question is about personal privacy rights, and under what circumstances those liberties can be mitigated. Let’s face it, virtually no one will label the FBI wanting to get into the iPhone of the shooter who killed 14 people an absurd aim. However, this can also be seen as an act of misdirection on the part of the Justice Department. Does anyone really believe the Federal Government couldn’t break into an iPhone if they really wanted to do so? No, the real issue at stake here revolves around yet another attempt at establishing a precedent which will further erode individual privacy rights. Granted, “In the name of doing good,” but come on, folks. How do we define these parameters when we can’t possibly know how this power will be used? The Apple Encryption issue, the Patriot Act and George Orwell. After the 9/11 attacks, the infamous Patriot Act (PA) was approved by Congress and signed into law by then-President Bush. The PA gave law enforcement officials the ability to create antiterrorism policies, including monitoring and detaining citizens suspected of possessing affiliations with organizations or individuals believed to have ties to terrorist activities. The Patriot Act generated an intelligence dragnet, an unprecedented surveillance expansion that has left many wondering if the ends justified the means. If under suspicion, you or your business can be wiretapped and/or undergo digital/internet monitoring of all your communications without a court order. Heck, if under enough suspicion, you can be arrested and held in detention without being officially charged for anything. And as you know, I could add examples to this “sentence” for quite a while. Was Orwell’s famous novel 1984 so wrong about the nature of control when absolute power is wielded in an unscrupulous fashion? As we all know, “Big Brother” stripped individuals of their rights, keeping them under constant surveillance, completely controlling their lives. The parallels are all too quantifiable. While no citizen wants to believe that the U.S. Government is using the Apple encryption dispute to further subterranean agendas, we all must ask if our government is truly empowering themselves in order to conduct meaningful oversight. … Regarding issues of freedom and individual privacy, does technology help or hurt? Can the Apple encryption vs FBI debacle been seen as a harbinger working to dismantle the empowerment brought to us by the technologies we use to protect ourselves? Studying the issue a bit further, I came upon two articles making equally valid points about the “nature of the problem” from different poles. I think they are both worth a read. Landa also points out that our smartphone personal information could become vulnerable by essentially forcing manufacturers to create code that would put all their customer’s personal data at risk. In other words, yes — your Apple encryption concerns, right now, are completely valid, but brother, you ain’t seen nothing yet. The Apple encryption debate has started a landslide. The ongoing controversy over government access to encrypted devices will result in attempts to create legislation mandating the existence of backdoors in your technology, and/or create a scenario where the FBI has access to everyone’s communications. As a technology company, Chepri® is certainly invested in these issues, and is interested in not only exploring them further, but also hearing your viewpoints. Please take a moment, submit a comment below, and let us know how you feel.